Wherever you are, you can always go home, if not in body then in spirit. 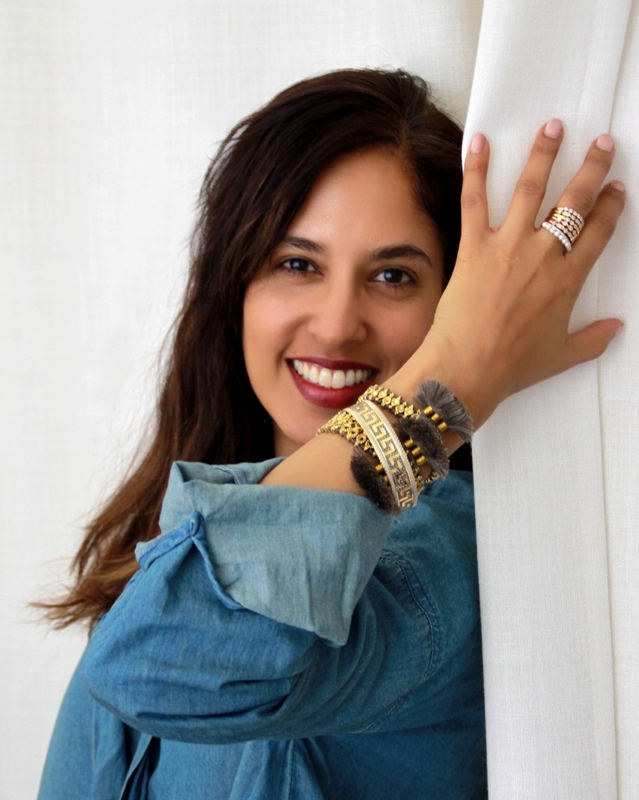 In many ways, although Madhuri Parson lives in New York, 3,000 miles away from her childhood home in California and a world away from her family’s heritage in India, when it comes to her jewelry she is essentially always at home and that’s intentional. Family pride and tradition is a key theme in Madhuri’s jewelry collections, which include her eponymous fine jewelry line, as well as MADU, its sister fashion jewelry line. She speaks with an infectious warmth about her parents and how their commitment to embracing nature and art as integral elements of life has become the foundation of her approach to design. Diamond essentials and pearl stackable rings in gold. She is liberal and genuine when sharing her familial anecdotes and for the wearers of Madhuri’s pieces, this truly does offer a sense of home, even though it might not be their own home. But that’s the beauty of jewelry, it tells a story and transports us in body and mind to personally uncharted locations, with the creator acting as our own private tour guide and giving us the credibility of a local who knows what’s really up. Metaphorically, Madhuri’s foray into jewelry is also a homecoming of sorts. Her family’s history in the jewelry industry dates back six generations and as a result, it played an influential role in her childhood. As most of us do these days, Madhuri took a circuitous route back to the craft that originally captivated her heart. After a successful career working in tech in Silicon Valley failed to give her the feels, Madhuri knew it was time to get real about what she loved, so she moved to New York to study jewelry at the Fashion Institute of Technology and Gemological Institute of America. Following roles at David Yurman, Liz Claiborne and Calypso, she was ready to make her own unique contribution and launched her brand in 2011. And her offer truly is unique in all the best ways, drawing inspiration from the techniques learned on those cherished trips with her grandfather. Peacock studs adorned with multi sapphires hand set in gold and black rhodium. With both of her lines, Madhuri joyfully celebrates those undeniably Indian influences of color and delicate detail, but translates them in a way that makes her pieces feel at home within an everyday wardrobe. Inspired by the national bird of India for its grandeur, this elegant statement pieces is handcrafted in gold, studded with multi sapphires in black rhodium with a matte and high polish finish. Her pieces certainly have a lot to say, but rather than hogging the whole conversation upfront, they reveal themselves slowly and thoughtfully throughout the dialogue with the wearer and beholder. For example, a multi-colored sapphire ring with articulated petals blooms to reveal two different flowers. 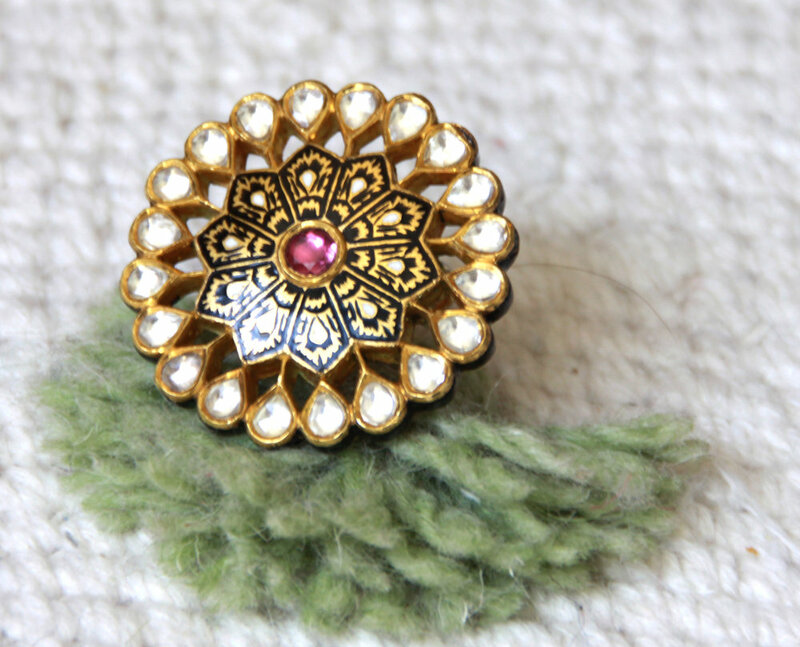 Or a gold and black enamel ring, which is an undeniable stunner on the surface, showcasing rose-cut diamonds and rhodolite gemstones, but then has a hidden bounty of black enamel florals on the back. It’s a secret shared only between the ring, the wearer and maybe one extra special someone whom she chooses to bring into their clandestine circle. Diamond Flower Power, signature black and gold hand-enameled ring with floral motifs, rose cut diamonds and rhodolite gemstones. Inspired by the Indian bridal jewelry, called Hath (Hand) jewelry, this hand chain embodies the beauty of a women by the movement and the marquis emeralds floating freely around the hand. Such attention to detail is a testament both to Madhuri’s innate sense of design, as well as the level of skills and respect that she has cultivated amongst her artisans. With a supply chain that touches India, Los Angeles, New York, Bangkok, Hong Kong, Antwerp and London, and customers flung even further around the globe, Madhuri takes great pride in the relationships she has built with her partners, another lesson learned from her grandfather. “He was such a regal man and he imprinted in my mind to always act with a great deal of grace when you work with your customers and your suppliers. His philosophy was that everyone is a friend and building a relationship of trust, loyalty and respect is the cornerstone of a successful business,” she fondly remembers. 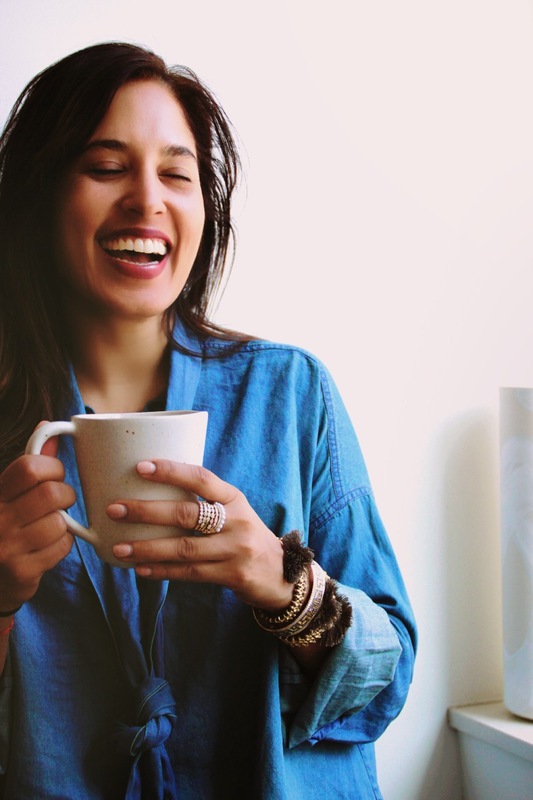 At its core, Madhuri’s business is built around those beautiful relationships, making customers and suppliers feel like an extension of the family, and the home, that has inspired it all.